I have more Thousands Sons done and in progress, however, some things keep me from posting them, but more on that later. 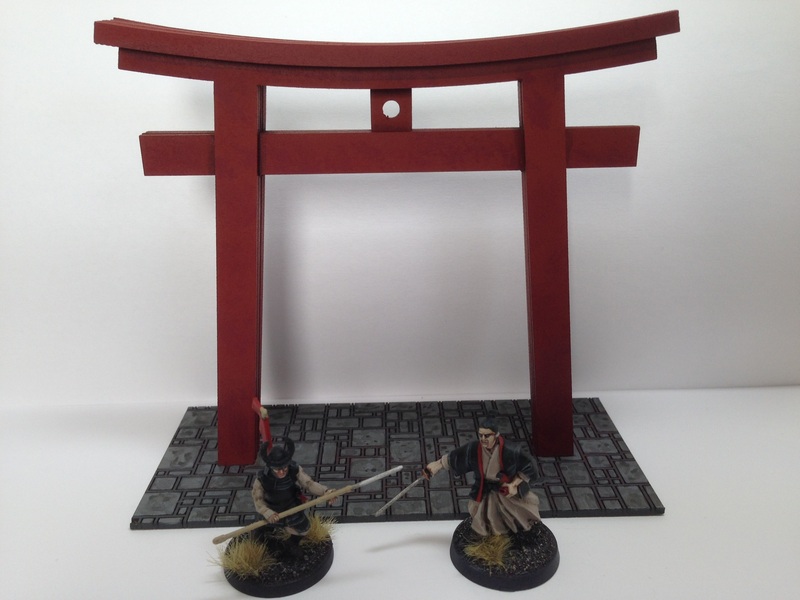 For now our group has been painting up some test of honour figures, this is a new samurai skirmish game by Warlord games. I haven't played the game yet but it looks simple yet complex enough to allow some quite subtle tactical input. The figures are a bit of a nightmare to put together, a lot of parts and no indication to the pairings between components such as left and right arms. The figures look good in the end but assembly is definitely frustrating. I went for a straightforward colour scheme with black armour plates, cream coloured body suits and a little red heraldry. 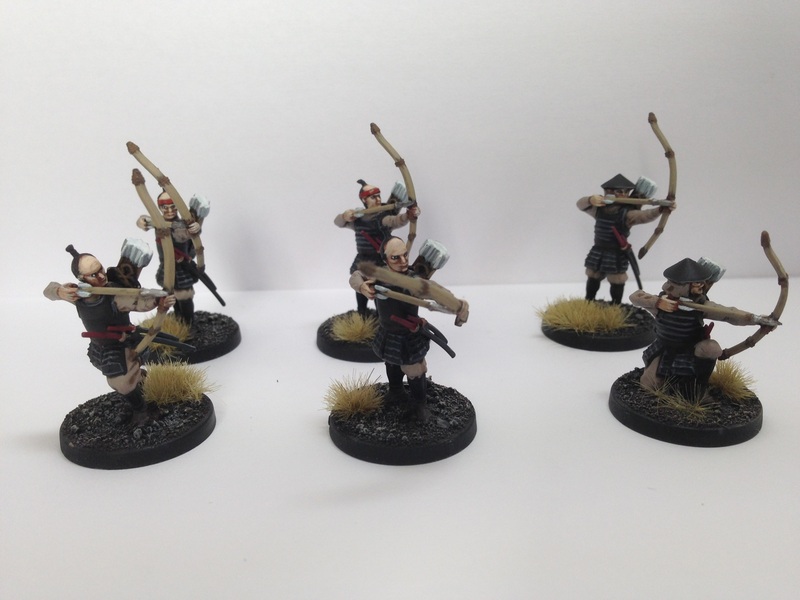 The models below include six ashigaru archers, six ashigaru spearmen and two samurai beside a torii gate. 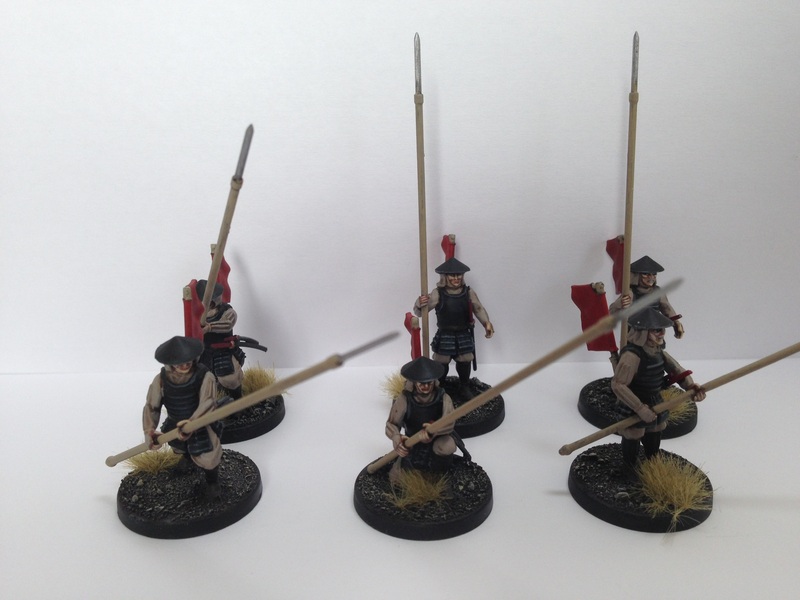 I have a lot more of these to do, this is about a third of the boxed set so we'll see how a couple of simple skirmishes go and then do some more.